LONG BEACH, CA (January 20, 2014)—Laserfiche announced its top value-added resellers last night at its Winners Circle retreat in Palm Springs. Ricoh Canada won the Chairman’s Award in recognition of top new sales achievement in 2013. MCCi took home the President’s Award for top sales overall. 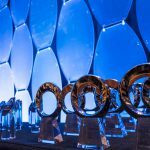 Other notable wins include news sales improvement awards for Crabtree Companies and Ricoh New Zealand, both of which were highly successful in selling the value of Laserfiche enterprise content management (ECM) to new prospects. 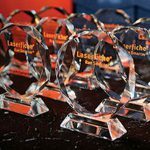 Since 1999, the Laserfiche Winners Circle program has recognized top-selling achievers within the Laserfiche value-added reseller (VAR) community. 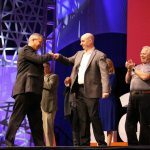 In total, 54 top-selling Winners Circle Achievers were recognized at the awards ceremony, which was held on January 19 in Palm Springs, CA.